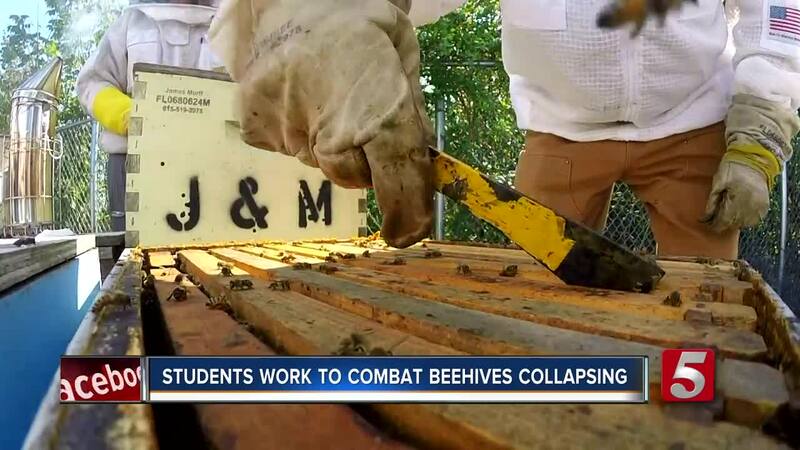 High school students at Wilson Central in Lebanon are working to help beekeepers in the county who by some estimates lost up to 85 percent of their bees over the course of the last year. The reason for the hives collapsing is complicated, some experts blame pests like varroa mites while others point to the nationwide trend of Colony Collapse for adding to the already devastating decline in bee populations. In the last few months, Wilson Centrals FFA program received a grant that allowed them to purchase extra hives for the school's apiary. The goal with the extra hives is to is to split them up come spring in hopes the colonies would produce their own queens and then those new colonies could be sold to beekeepers in Wilson County who were hit hard earlier this year.